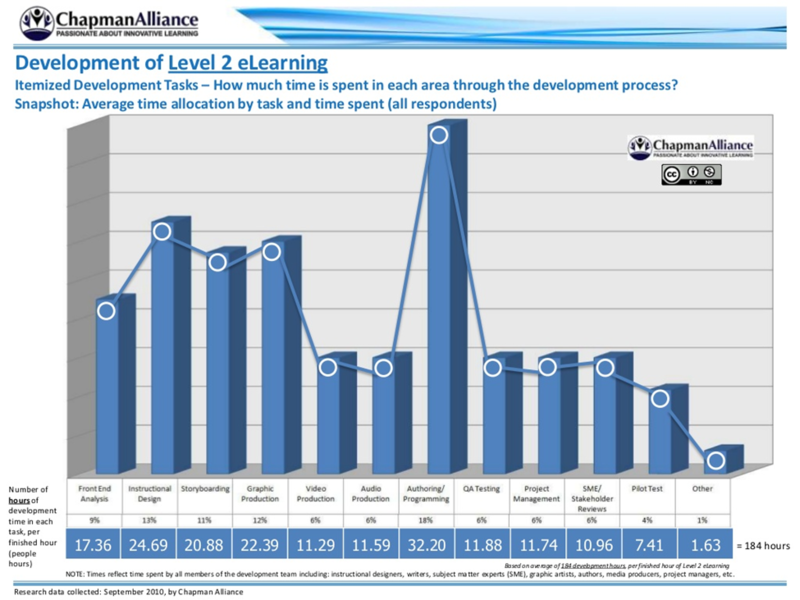 Often with Instructional Design, there is a need to be able to estimate how long it will take to do audio recordings, YouTube videos, Adobe Captivate simulations, and other projects related to training and education. Some people think a training simulation with audio and interactive graphics can be done in a few days’ time. It helps if you can cite a source to back up your estimate. I tend to use Adobe Captivate, and a good site for getting time estimates is “The Logical Blog” by IconLogic. http://iconlogic.blogs.com/weblog/2013/03/adobe-captivate-techsmith-camtasia-studio-articulate-storyline-production-times.html (Siegel, 2013). I did one instructional video using Adobe Captivate, Premier and After Effects that took almost 3 weeks. Based on the times from The Logical Blog, it should have taken me 40-80 hours to write the script, plus another 40 hours for the audio, plus an additional 16 hours production. Two and a half to three and a half weeks was what I did so this sites numbers reflect my current reality (Siegel, 2013). Thank you for sharing these two articles. I was impressed with how much detail the site providing in regards to time management planning. I like the fact that it almost serves as a template of guidance. I believe that we all have been in situations were we’ve under estimated the time a task would take, even in everyday life activities. Using software as such and other team members will help prevent an extension of a project. Thank you. Thank you for the great resources. The production time estimates on the Logical Blog are a great resource to have (Siegel, 2013). Creating a well-planned project schedule in important for a project manager in order to keep a project on track (Larson & Larson, 2012). Incorrectly estimating the duration of an activity in a project schedule can greatly impact a project (Kloppenborg, 2007). Project team members use their best guesses to estimate the duration of each activity, but they can vary in reliability (Kloppenborg, 2007). Even with careful planning, you never know what will happen or come up during a project. I think the production time estimates are a great place to start when creating a project schedule and then you can adjust them for a specific project’s details. Thanks for sharing!